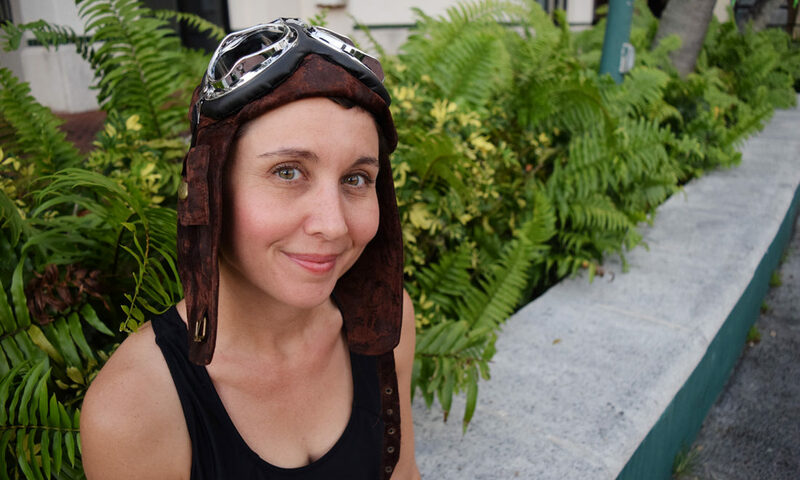 Girls' Club presents Offsite Performance by Christina Pettersson: Along the Shadow of the River, a multi-disciplinary public performance set along the banks of the historic New River in downtown Fort Lauderdale. Taking place on the riverside grounds of the Fort Lauderdale Historical Society at 219 SW 2nd Ave, Fort Lauderdale, FL 33301, Along the Shadow of the River takes inspiration from the historic river and the women whose histories are forever linked to its waters. 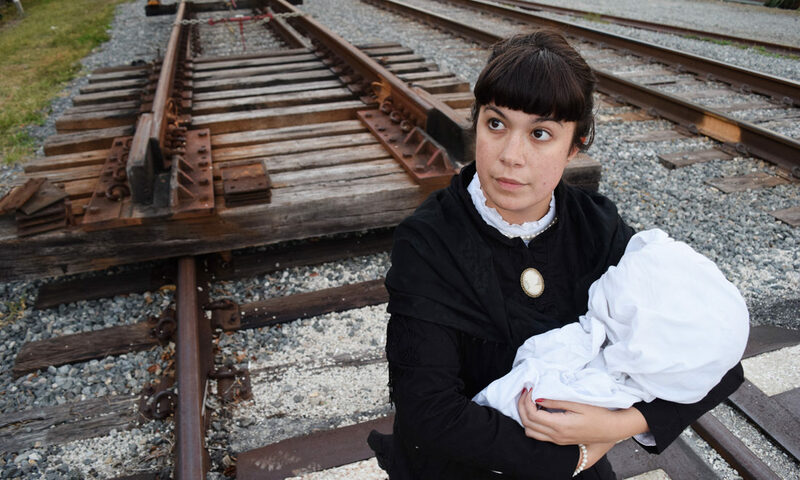 Audience members are invited to tour the grounds, encountering different performers as they make their way east across the railroad tracks in this progressive performance and walking tour. The performance will begin promptly at sundown. Created by Christina Pettersson, the performance brings together local musicians, dancers, opera singers and artists to embody historic female figures who have made integral contributions to the founding and history of Fort Lauderdale. Part homage, part history tribute, these interpretive, performative biographies tell the story of Fort Lauderdale’s forgotten heroines including: Frankee Lewis, Fort Lauderdale’s first permanent non-native resident circa 1790-1830; Ivy Stranahan, Fort Lauderdale’s first school teacher, an active social activist, suffragette and proponent of Seminole Indian rights who lived in Fort Lauderdale from the age of 18 in 1899, to her death in 1971; Mary Brickell, the largest single property owner in the central part of Fort Lauderdale and prominent real estate developer/manager circa 1908-1922; Katherine Rawls, an Olympic Swimmer and WW2 pilot; Eula Johnson, a civil rights activist nicknamed the 'Fort Lauderdale Rosa Parks' and Betty Mae Tiger Jumper, a nurse, activist and the first, and so far only, female Seminole Indian Chief from 1967-1971. Spanish Land Grant claim for the property of widow Frankee Lewis, ca. 1788s. Fort Lauderdale -- In a series of four multi-disciplinary public performances, in collaboration with performance/video artist Jen Clay, author/visual artist Vanessa Garcia, choreographer/dancer Jenny Larsson and visual/performance artist Christina Pettersson, Girls’ Club brings unique experiences outside the walls of the gallery space and into the world’s stage. Christina Pettersson explores resurrection and savage demise on a grand scale once reserved for history painting. Her large graphite works on paper reference classic mythology and literature, and include herself as the recurring female figure surrounded by animals, most particularly birds. Seen altogether, these figures act as augurs or prophets, foretelling the future from the past, yet apprehensive of the omens. These otherworldly landscapes reveal a deep allegiance to the wilderness of a bygone era, and the experience of a world in decline. Rooted in a highly Romantic tradition, they embody a restless spirit, a longing for the unbounded and indefinable, and fervent emotion as the truest source of visual experience. "I want to restore that epic and mythological dimension, a sense of awe and reverence for the world. The fact is they are not much about my personality. I want to be a storyteller. I want to believe that life is still wild." Christina was born in Stockholm, Sweden and lives in Miami, FL. 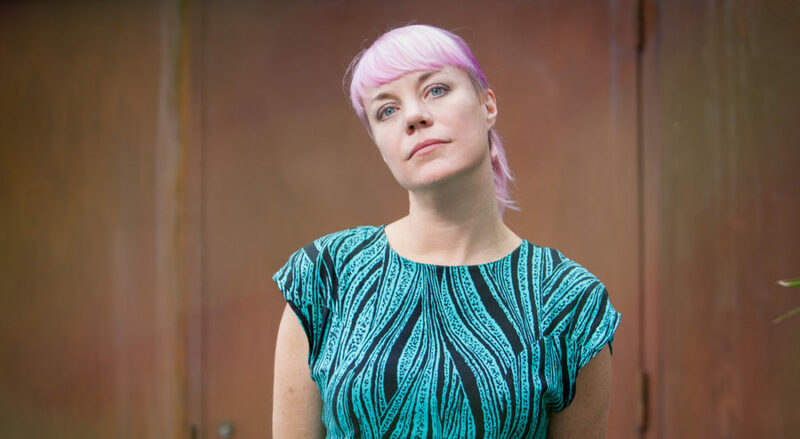 In addition to drawing, she makes videos, sculptural installations and group performances. Her most recent shows include the Museum of Contemporary Art, Miami, Girls Club, Fort Lauderdale, the Art and Culture Center of Hollywood, FL, Launch F18, curated by Site95, New York, NY and Primary Projects, Miami, FL. She has also exhibited at the Birmingham Museum of Art, AL, Columbus Museum of Art, GA, Baltimore Museum of Art, MD, Wiregrass Museum of Art, AL, Naples Museum of Art, FL, and locally in South Florida at the Miami Art Museum. She received a Fulbright Grant to return to Sweden in 2000, attending the Valand School of Fine Arts in Gothenburg. 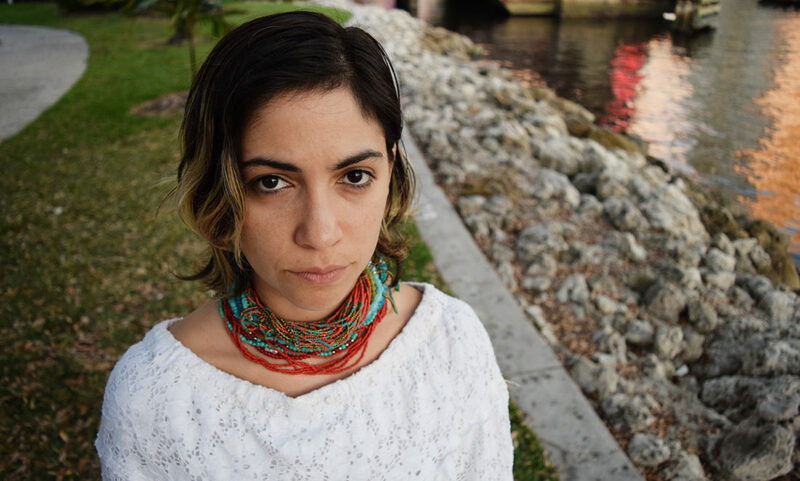 She has received the South Florida Cultural Consortium Fellowship twice, the largest regional sponsored grants in the US. She has attended residencies at the Vermont Studio Center, VCCA, The Studios of Key West and Yaddo, as well as a year long program locally at the Deering Estate. Her work is in the permanent collections of PAMM, Martin Z. Margulies at the Warehouse, Marty & Cricket Taplin at the Sagamore Hotel, Francie Bishop Good & David Horvitz, Debra and Dennis Scholl, and others. She is published four times in New American Paintings, and had a documentary made about her for ArtnetTV. She was named one of the “Young Miami artists making a mark this Art Basel go- around” by The Miami Herald last December. Recent solo shows have taken place at the Art and Culture Center of Hollywood, Launch 18 in Tribeca, and Primary Projects in Miami. 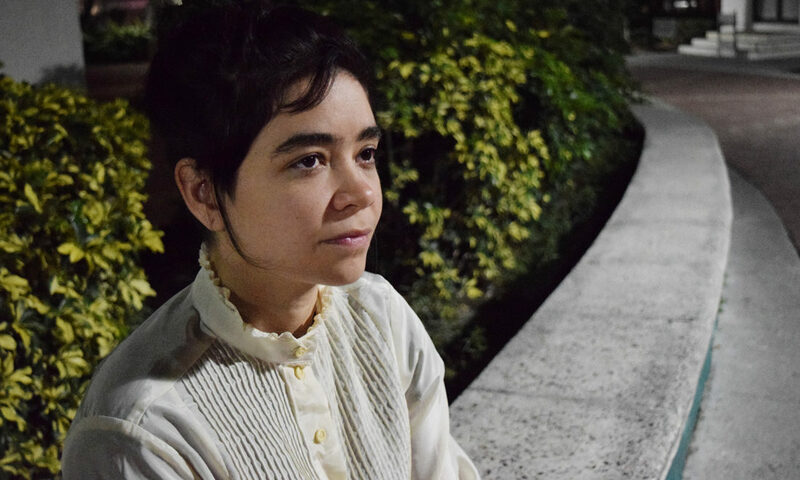 This past December during Art Basel she unveiled a major performance work at the historic Vizcaya Museum and Gardens, as part of their prestigious Contemporary Arts Program. The Fort Lauderdale Historical Society (FLHC) is a 501(c)(3) non-profit organization located on the New River in downtown Fort Lauderdale. FLHC tells the story of our community's history through its historic structures: The 1905 New River Inn which houses the Museum of History and was the first building in Broward County to be listed on the National Register of Historic Places;1907 King-Cromartie House, a pioneer house museum;1899 Replica School House, a replica of Broward County's First schoolhouse; and Hoch Heritage Center, a public research library that holds the largest collection of material related to greater Fort Lauderdale, including more than 250,000 historic photographs. Played by experimental artist/musician Tara Long and writer/historian Mae Silver. Coming over from the Bahamas sometime ca 1788, Charles (Surles) and Frankee Lewis and their three sons settled on the banks of the New River and were the first permanent settlers of European descent in what in now Broward County. In 1793, after reports of their presence reached the Spanish royal governor, Juan Nepomuceno de Quesada, in St. Augustine, a reconnaissance expedition was ordered to investigate their settlement. Though it was long suspected that the Lewis's small farm served as a way-station for British adventurers who consorted with segments of the Creek and Seminole tribes to subvert Spanish control over the colony, King Charles IV of Spain ordered the royal governor of East Florida to leave them alone. The Lewis farm on the New River included a cabin and several outbuildings and there they raised limes, oranges, sugar apples, coconuts, and guavas until 1824, and then lived along Biscayne Bay until 1836. Upon her husband's death in 1819 on voyage to the Bahamas, Frankee Lewis ran the family farm and business. 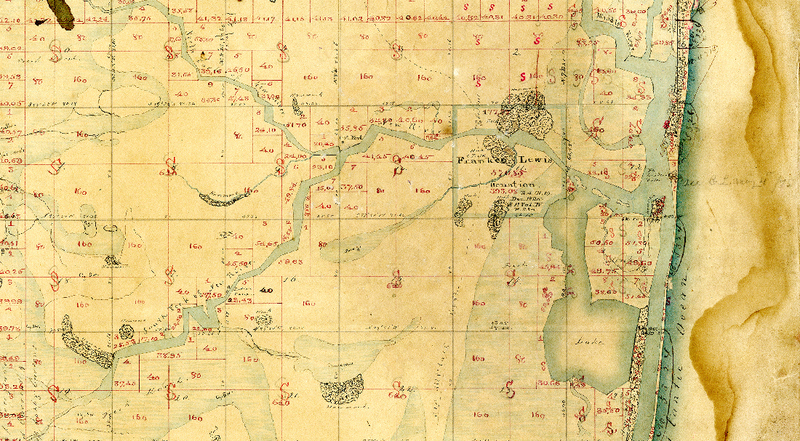 The widow Frankee Lewis applied for and received a land grant in 1825 from the U.S. government for 640 acres east of the family's actual settlement, in what is today Fort Lauderdale's Rio Vista and Colee Hammock neighborhoods. 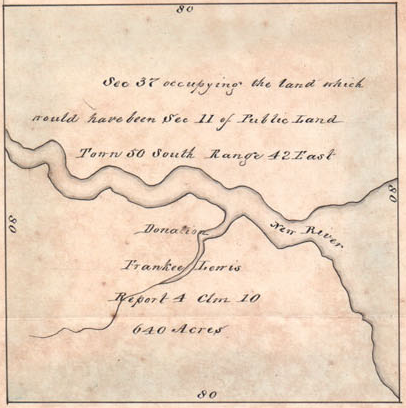 In 1830 Frankee Lewis sold her land for $400 and moved to the Miami River area. Neither the exact location of their farm, nor their place of birth, is known for certain. Images provided by Fort Lauderdale Historical Society. Played by mezzo-soprano opera singer Shanna Nolan Gundry. Ivy Julia Cromartie Stranahan was born in White Springs, Florida on February 24, 1881. 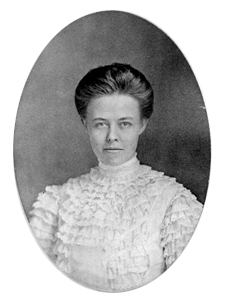 At 18 years old, she was hired at $48 a month as the Fort Lauderdale's first school teacher in 1899. She married Frank Stranahan in 1900 and lived at the Indian trading post founded by her husband. Following the marriage Ivy gave up her paid teaching position and turned her attention to the Seminole children, offering informal lessons at the trading post that respected the tribe’s traditions. On May 22, 1929, following the collapse of Florida land boom and two devastating hurricanes, deeply depressed and in ill health, Frank committed suicide, drowning in the New River in front of his home. Ivy went on, renting out rooms of her home and eventually leasing the lower floor to a series of restaurants. She gradually returned to her civic activism, becoming a long-term member of the city’s planning and zoning committee, successfully lobbing for the Homestead Exemption law, and founding Broward County chapters of the Red Cross and Campfire Girls. One of her most noted accomplishment was the foundation of the "Friends of the Seminoles." 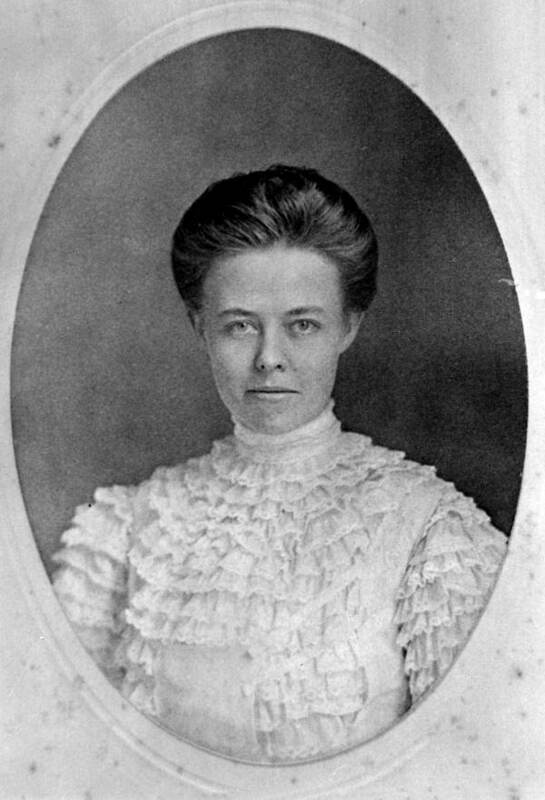 She was active in the women's suffrage movement, the Audubon Society, and the establishment of the Everglades National Park. 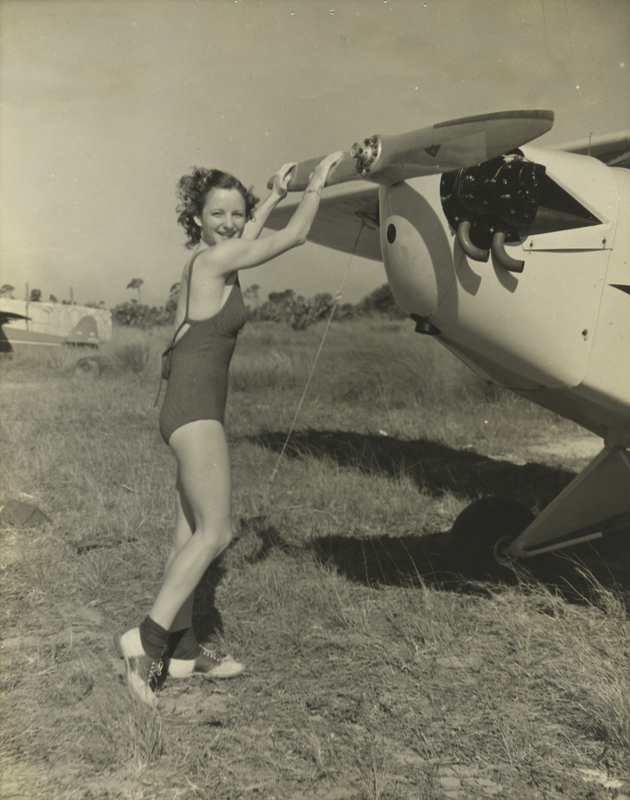 Ivy Stranahan died in Fort Lauderdale on August 30, 1971. Played by actress, playwright and stand-up comedian Jessica Farr. 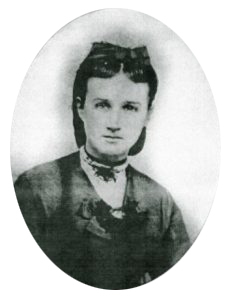 Mary Brickell and her husband William were a successful business couple who had lived in Australia, Washington DC, Pittsburgh, and Cleveland before moving to the warmer winters of South Florida circa 1870, after purchasing 2,507.83 acres of land. 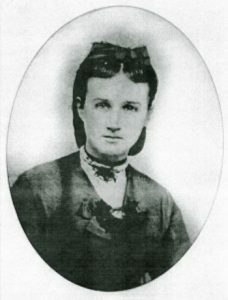 Mary, a volunteer citizen nurse during the Civil War, played a pivotal role in treating settlers and Native Americans during a typhoid outbreak in 1873. The family continued to nurture peaceful relations with the native tribes, building a trading post next to their home and welcoming commerce and trade between their two worlds. 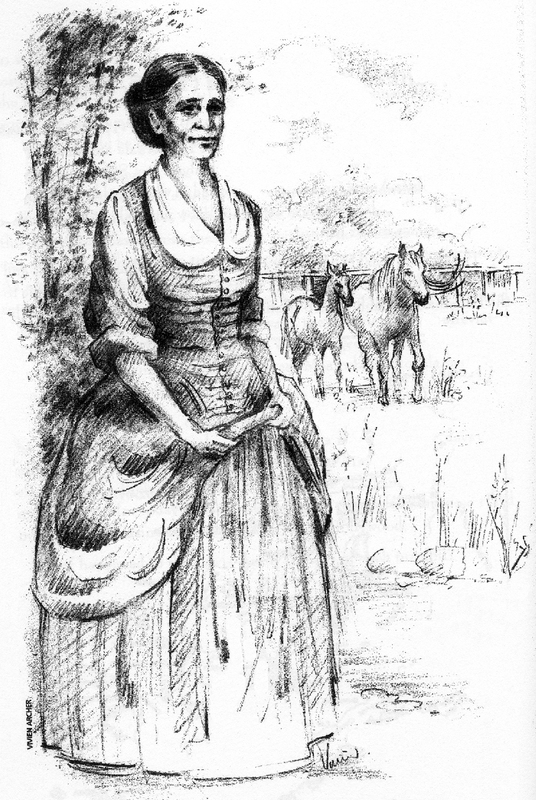 Mary served as postmaster for the growing pioneer community. After William died in 1908, Mary took over the businesses and management of the real estate and began to develop the hundreds of acres of land that they had acquired in the region.² Influential residents including James Deering who would go on to build the Vizcaya Museum of Gardens, Louis Comfort Tiffany of Tiffany's, and William Jennings Bryan. Performed by dancer and performance artist Nikki Rollason. 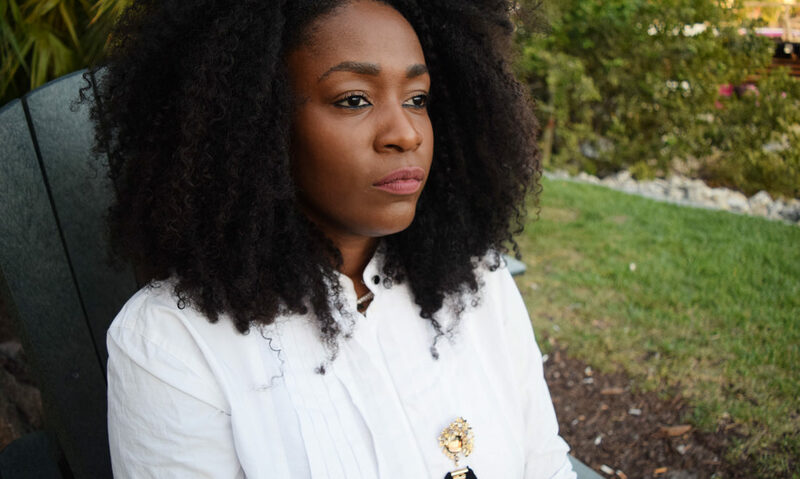 Performed by arts educator, choreographer and founder of Team Ohhh Octavia Yearwood. Born in Georgia, Eula Johnson's family moved to Fort Lauderdale in 1935. They owned a small grocery store and two gas stations in the northwest section of town. Widowed in the early 1950s, she continued to run the business and raise her three children. Johnson headed the local NAACP from 1959 to 1967, its first female president, and in that capacity sued public schools, seeking equality in education for blacks. She also fought to tear down separation walls at the local drive-in theater. 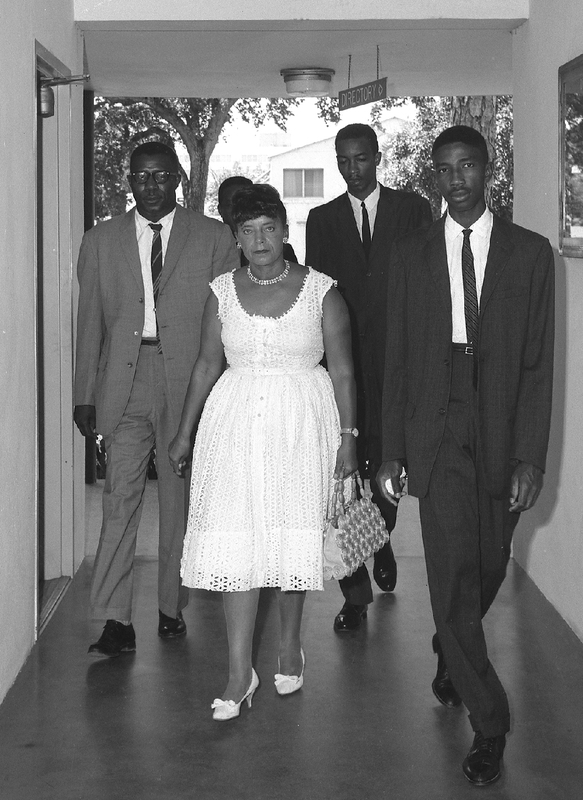 Using her home as a command center, she helped bring national attention to civil rights issues on Fort Lauderdale. Along with Dr. Vin Mizell and some Dillard High School students, she organized "wade-ins" at several Fort Lauderdale beaches, segregated since 1927. The city sued Johnson for inciting chaos and being a public nuisance, but in 1962 state judge Ted Cabot ruled in her favor and against the city's segregation policies. Today, her home on Sistrunk Boulevard is a museum, welcome center and headquarters of the Fort Lauderdale/Broward County NAACP. On July 1, 2016, the John U. Lloyd Beach State Park was renamed Dr. Von D. Mizell-Eula Johnson State Park in honor of their efforts to change the “colored beach” into a state park in 1973 and create appropriate access to that beach for residents. Performed by musician/singer/actress Shira Abergel. 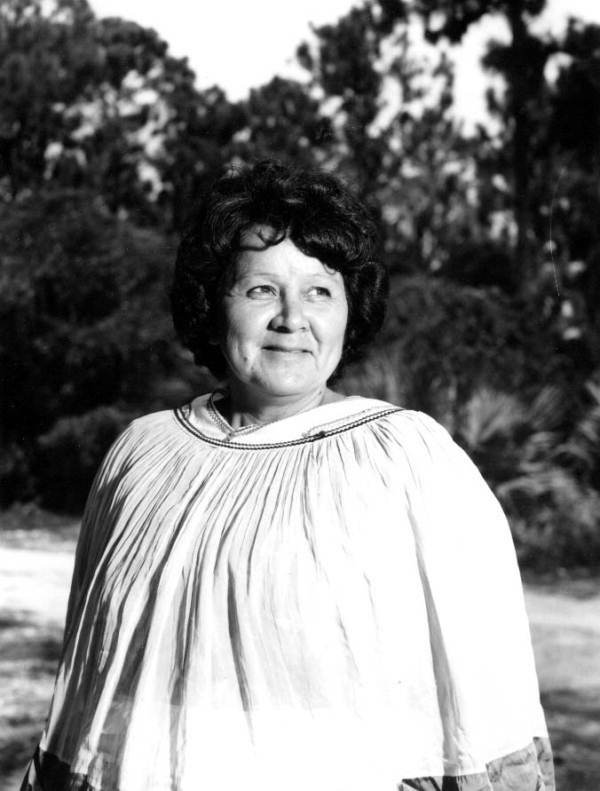 Betty Mae Tiger Jumper, also known as Potackee (Seminole), was the first and so far the only female chief of the Seminole Tribe of Florida. She co-founded the tribe's first newspaper in 1956, the Seminole News, later replaced by The Seminole Tribune, for which she served as editor, winning a Lifetime Achievement Award from the Native American Journalists Association. In 1999 she authored Legends of the Seminoles, the first compilation of the oral legends and stories of the Seminole Indian Tribe. In 2001 she published her memoir, entitled A Seminole Legend. Betty Mae died in January 2011, as one of the last matriarch’s of the Snake Klan, at the age of 88.